Despite this, it remains the case that the pirates are active and retain the capacity to attack far into the Indian Ocean. 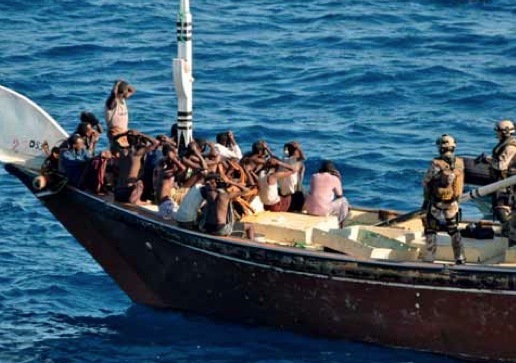 ICS therefore continues to emphasize that it is premature to conclude that the crisis is over, with seafarers still held hostage in Somalia, some of whom have now been in captivity for three years. The ICS paper also highlights the importance of clarifying the rights and obligations of sovereign nations to address piracy (which were complicated by the breakdown of Somalia as a functioning State) and of the need to engage with military authorities and to persuade them that the prevention of piracy/hostage taking has a most important strategic and humanitarian function that should not be dismissed as mere ‘low level’ law enforcement. “It was particularly important to foster an understanding that protection against pirate attacks was a shared responsibility in which both the military and the industry have to play their parts,” said Peter Hinchliffe. — whether political, military, shipping and security industries or media — will bear in mind the lessons identified in dealing with the issue of piracy in the Indian Ocean. ICS believes the core lesson of responding to criminality robustly and without delay will be more easily delivered in the future if these basic lessons are kept readily to hand.